With careful engineering, even small speakers can project big, lifelike sound. 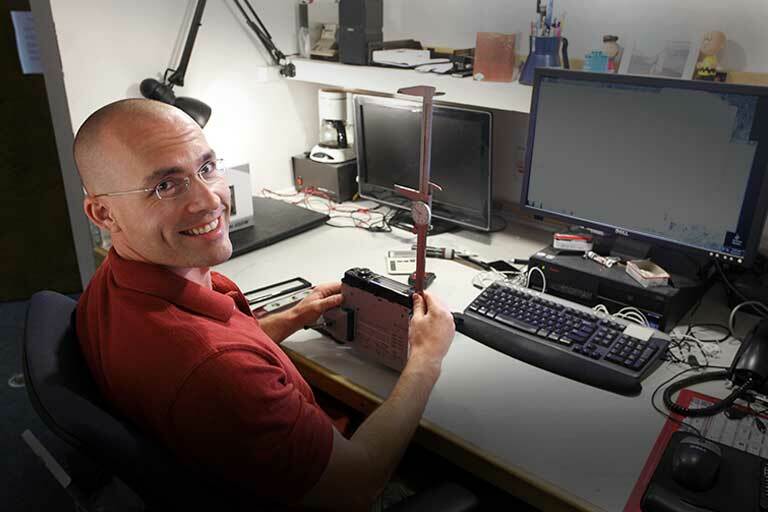 With careful engineering, even small speakers can project big, lifelike sound. 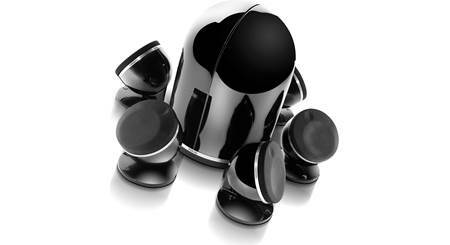 That must have been what Focal set out to prove when they created their elegant Dôme 5.1 speaker system. If you're outfitting a stylishly appointed room, but you don't want to let sound quality suffer, then take a look at what this cool modern system has to offer. 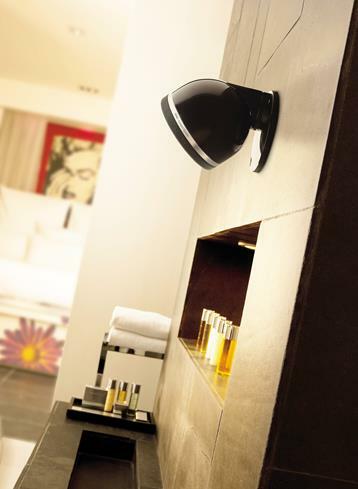 Each Dôme Polyglass satellite features a built-in base that doubles as a wall or ceiling mount. 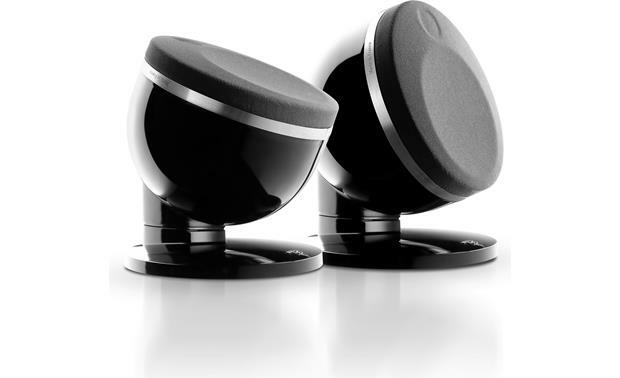 Each of the five included Dôme Polyglass satellites features a pair of Focal's advanced drivers. A 4" Polyglass woofer delivers rich, accurate mids and bass, while a 1" aluminum/magnesium inverted dome tweeter dishes out clear highs all the way up to 28,000 Hz. 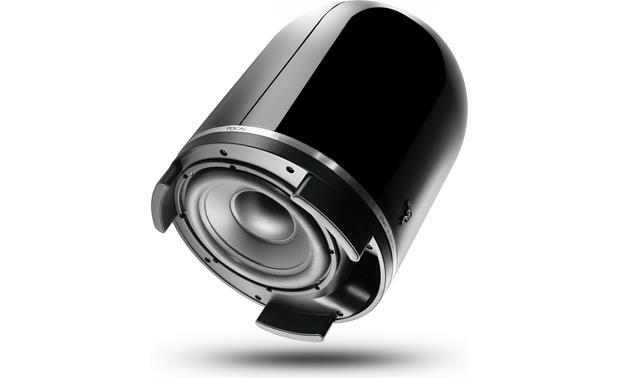 The included Dôme Sub rounds out the bottom end with tight, dynamic bass. It features a down-firing 8" woofer and 100-watt amplifier. This sub is a perfect match for the included satellites, both in sonic performance and visual design. They sound great, look amazing as well for an on ceiling option, but we weren't able to get the side screws tight enough for the base to look flush with our ceiling unfortunately. I think the design could have a bit better for this situation. Dome Polyglass Satellite Loudspeakers: The Focal Dôme Cinema Package (5.1) includes five of Focal's Dôme Polyglass satellite loudspeakers. 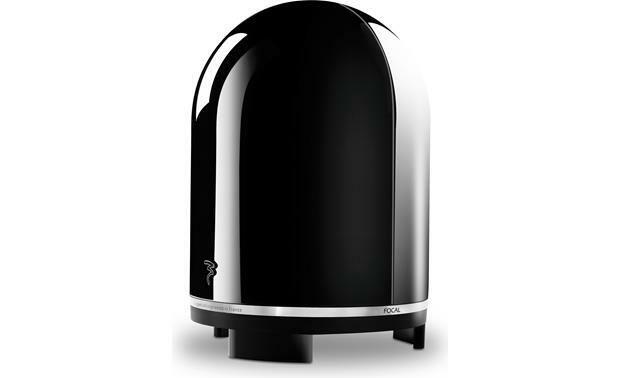 Focal's Dôme Polyglass is a high-end satellite loudspeaker that is made in France and incorporates Focal loudspeaker technology from the brand's most prestigious models. The Dôme Polyglass uses a two-way driver configuration with a 1" Aluminum/Magnesium inverted dome tweeter and a 4" Polyglass cone woofer for a natural, multi-directional soundstage. 1" Aluminum/Magnesium Inverted Dome Tweeter: The Focal Dôme Polyglass satellite loudspeaker features a 1" Aluminum/Magnesium inverted dome tweeter. 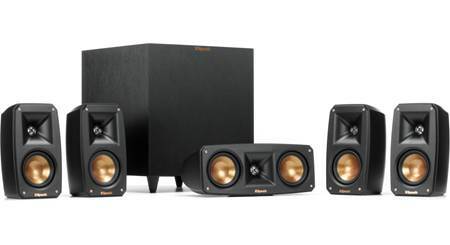 This configuration produces a precise, analytical sound and an extremely deep soundstage. Magnesium possesses great damping qualities, while Aluminum provides greater rigidity. The unique marriage of these two metals offers several key advantages - rapid response, reduced distortion, and excellent damping. This enables the tweeter to extend its frequency response to 28kHz (-3dB) with high frequencies that are both dynamic and detailed. 4" Polyglass Cone Woofer: The Focal Dôme Polyglass features a Polyglass cone woofer that ensures neutrality, excellent dynamics and a precise sound image. Polyglass technology, exclusive to Focal, consists in applying molten glass microballs on a cellulose pulp cone. This process combines an excellent paper damping with glass rigidity. The rigidity index exceeds even that of a single skin Kevlar and is almost 10x superior to one of polypropylene. The mass/rigidity/damping ratio adjustment results in outstanding linearity of the frequency response curve, all from the inherent design of the cone. This innovation also greatly increases definition in the midrange. High-Gloss Lacquered Aluminum Enclosure: The Dôme Polyglass has a sleek, sealed enclosure design without any visible screw fittings, and is made using sophisticated materials with luxury finishes. It's round shape & design resembles that of a spot-light, which is ideal to avoid internal resonances that distort the purity of timbers. The enclosure is completely sealed for more accurate sound, void of any port noise. The Dôme Polyglass is available in a gloss white finish with removal grey cloth grille or a gloss black finish with a removal black cloth grille. 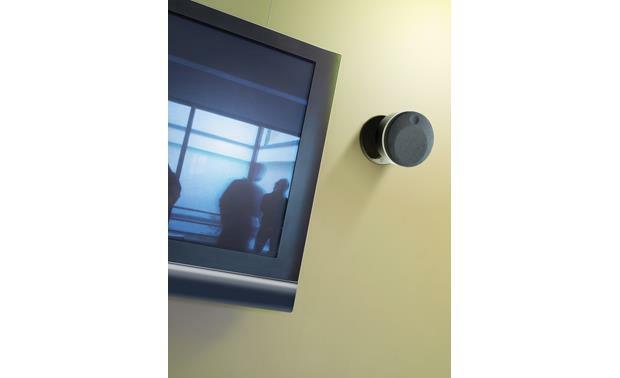 Set-Screw Speaker Terminals: The Focal Dôme Polyglass satellite loudspeaker employs bottom-mounted set-screw terminals which will accept bare wire up to 16 gauge. A hex-key is included to adjust the set screws. 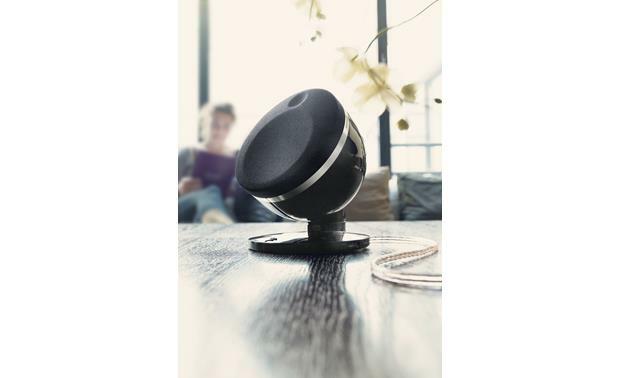 Multi-Direction Sound w/ Flexible Mounting Options: The Focal Dôme Polyglass satellite loudspeaker is multi-directional, so placement is flexible. The Dôme Polyglass is ideal for rooms and spaces up to approximately 430 square feet. It can be placed on a table-top, or mounted to the wall or ceiling. 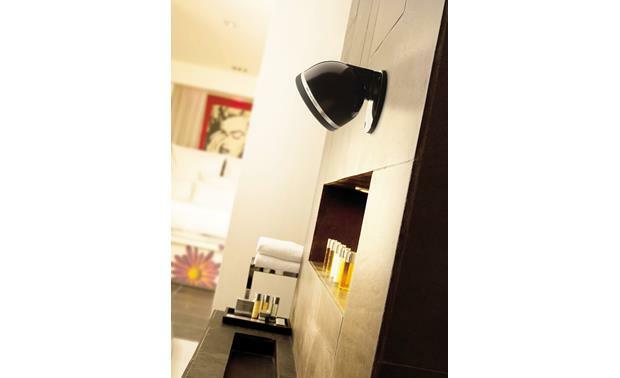 Wall/Ceiling Mount Bracket: The integrated table-top stand also allows you to mount the speaker to the wall or ceiling with the included mounting bracket. The rubber foot pad is removed and the included bracket is attached to the bottom of the table-stop stand after the bracket is secured to the wall or ceiling with the included screws. 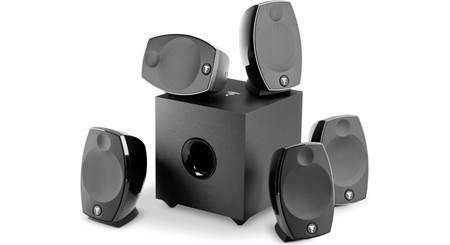 When wall-mounted, the speaker can fire directly out into the room, or you can tilt the speaker downward (up to 85°). When ceiling-mounted, the speaker fires directly down into the room, or you can tilt the speaker upward (up to 85°). 8" Polyflex Woofer: The Focal Dôme powered subwoofer features a down-firing 8" Polyflex woofer with rubber surround for great sounding bass when listening to movie or music soundtracks. 100W BASH Amplifier: The Focal Dôme powered subwoofer employs a built-in hybrid (analog/digital) 100W BASH amplifier for dynamic bass response. Bass Reflex: Enclosure: The Dôme powered subwoofer has a sleek, rounded enclosure design with a down-firing port. It's round shape & design resembles that of a "dome", which is ideal to avoid internal resonances that distort and add coloration. The bass port is finely tuned to prevent unwanted port noise and distortion. The Dôme powered sub is available in a gloss white or gloss black finish. LFE & High-Level Input: The Focal Dôme powered subwoofer is outfitted with a both a high-level and LFE input. The high-level input consists of a proprietary 4-pin connector and comes with an 8' proprietary speaker cable which will connect to your AV receiver's front channel speaker outputs. The LFE input consists of a mono-RCA jack which will plug into your AV receiver's LFE output using an optional subwoofer cable (sold separately). Controls: The Focal Dôme powered subwoofer provides Volume, Crossover, and Phase controls on the back panel. Volume Level: The volume level controls the overall output level of the powered subwoofer, relative to the volume of the Dôme satellite loudspeakers. Low Pass Crossover: The Focal Dôme is equipped with a variable low-pass crossover which can be set between 60Hz and 170Hz. There is a specific setting on the low-pass crossover labeled "Dôme" to be used for this system. The low-pass crossover is only for the sub's high-level input. If your AV receiver is equipped with an LFE output, make sure the set the powered sub's low-pass crossover to the max frequency setting of 170Hz. Phase Switch: The phase switch allows for the adjustment of the phase of the powered subwoofer in relation to the Dôme satellite speakers - either 0° or 180°. If the bass sounds muddy or unclear, adjusting the phase control can sometimes strengthen the bass performance. Auto On/Standby: The Focal Dôme powered subwoofer will automatically power on when it detects an audio signal and go into standby mode when there is not audio signal present for approximately 5 minutes. You can also choose to manually turn the power of the sub on and off. Placement Options: The Focal Dôme powered subwoofer can be simply placed on the floor. Focal recommends placing the powered subwoofer in a corner towards the front of the room near the front Dôme satellite speakers for optimum bass performance. 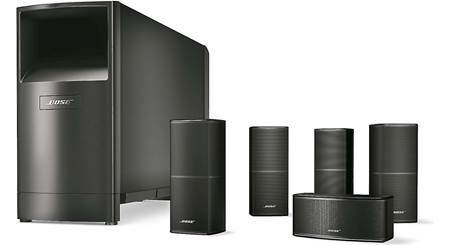 How's the sound quality of the main speakers including center? I know they are all matched the same. I'm curious if they are more warm sounding or bright? And dialogue during complex scenes, can you still hear speaking over the action? Sound is great. Not using for center channel. Using mirage center. 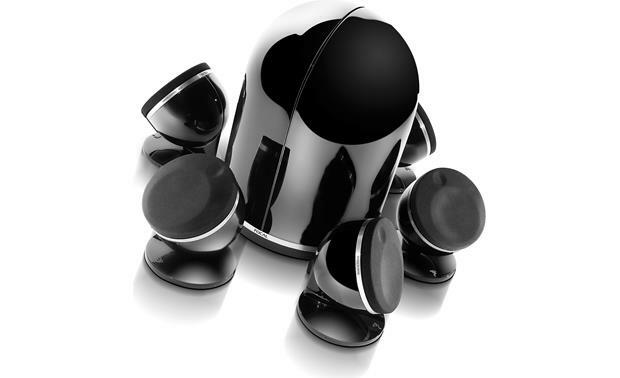 Searches related to the Focal Dôme 5.1 Pack Home theater speaker system with 5 Dôme Polyglass satellites and Dôme Sub.